Tempe Neighbors Helping Neighbors (TNHN) is a nonprofit agency founded in 2009 to help adults remain in their homes and communities as they age. By coordinating a network of volunteers and community resources, we offer assistance with basic home and yard maintenance, transportation, friendly visits and calls, technology, and pet care. 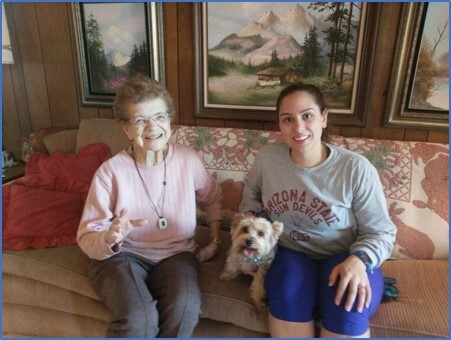 We are the only nonprofit of its kind in Tempe and one of three original pilot sites in Maricopa County to use the nationally recognized village model to build a network of support for our older residents. Tempe has over 14,000 residents aged 65 and older; of these, 3,604 live alone. Population estimates for this age group suggest projected growth at more than double within the next fifteen years, with an expected population of just over 29,000 people over age 65 living in Tempe by 2030. Of these, the fastest growing age group is 85 years old and older. Tempe Neighbors works locally to address the cascading needs that parallel our aging population.